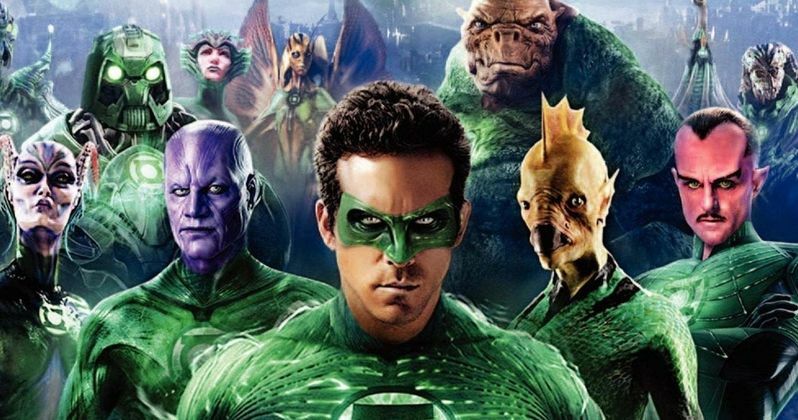 2011's Green Lantern doesn't have very many fans and now Ryan Reynolds admits that he's still never even seen the finished cut. Reynolds had signed on to play Hal Jordan in a string of movies for Warner Bros. and DC Entertainment. However, Green Lantern was pretty much a financial and critical failure, earning only $219 million worldwide on a budget of $200 million, killing any plans for a franchise starring Reynolds. Afterwards, Warner Bros. paired with Zack Snyder to start the DCEU, which has seen its critics as well. In a new interview promoting Deadpool 2, Ryan Reynolds was asked about Green Lantern. The actor chose his words carefully but admitted that he never saw the final cut of the movie. Additionally, Reynolds admitted that there's more than a few of his movies that he's never seen. He had this to say. "I've got to be really careful how I answer this. Look, I've never seen the full final version of Green Lantern. I saw a very late stage rough cut of the film. Now, that isn't to say that I didn't want to see it because I didn't like it. I have movies that have been received pretty well that I haven't seen, and then I have movies that I have seen 100 times that people don't like but I just like. The Green Lantern (joke in Deadpool) to me is just sort of, I don't know, kind of fun. It's me just taking the piss out of me, but it's more Wade (Wilson) though." A lot of times, actors don't choose to watch their work after it has been completed. Just recently, Macaulay Culkin admitted that he doesn't like to see Home Alone because it reminds him of a specific time in his life, which doesn't allow him to enjoy the movie like the general public. One has to wonder how many times Ryann Reynolds has seen Deadpool or Deadpool 2, since he spent so much time and effort to get the franchise off of the ground. After the Green Lantern debacle, Ryan Reynolds focused his time and energy to get the cult Marvel Comics hero Deadpool on to the big screen. The first installment hit theaters in early 2016 and became an instant hit, leading to the development of Deadpool 2, which hits theaters in just a few weeks. Additionally, the franchise has helped to start the X-Force franchise as well, with Reynolds recently admitting that he doesn't think that a third Deadpool movie is in the cards. Deadpool's jokes about the Green Lantern movie are all in good fun, just like the rest of the jokes about the Marvel Cinematic Universe as well as the DCEU. But, Ryan Reynolds really doesn't need to take time to watch Green Lantern now, 7 years after the fact, unless he's researching to make some more jokes for Deadpool 3. Reynolds will be seen on the big screen as the Merc with a Mouth again on May 18th, and then when the X-Force movie hits theaters. You can read the rest of the interview with Ryan Reynolds over at Entertainment Weekly.